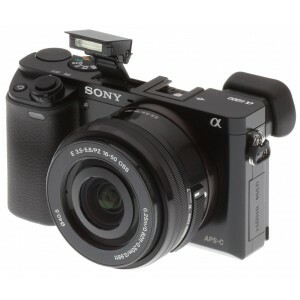 *1 Among interchangeable-lens digital cameras equipped with an APS-C image sensor as of February 12, 2014, based on Sony research. Measured using CIPA internal measurement method with E PZ 16-50mm F3.5-5.6 OSS lens mounted. Pre-AF off and viewfinder in use. *2 Availability of software service varies according to country or region. Forget everything you knew about autofocus. With Sony's state-of-the-art 4D Focus, you'll be able to capture every moving subject with astonishing clarity like never before. 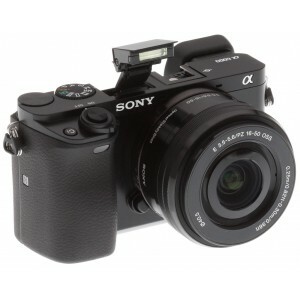 The 4D Focus combines fast autofocus speed, wide coverage and steadfast tracking through a sophisticated AF algorithm. In this instance, the α6000 comes equipped with the world's fastest autofocus*1 at a mere 0.06 second, letting you achieve the perfect shot in any situation with stunning precision. Experience a truly game-changing autofocus that never lets go of any moment worth capturing. 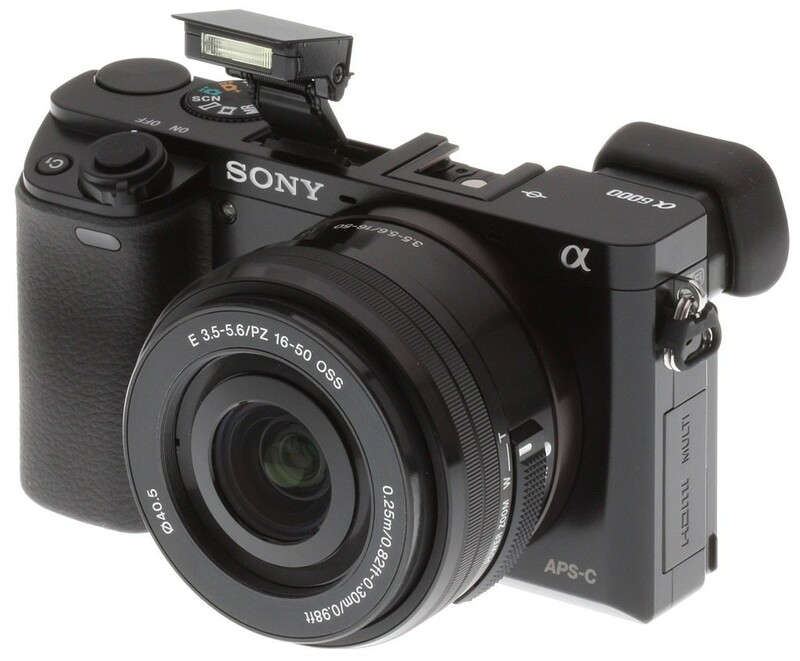 *1 Among interchangeable-lens digital cameras equipped with an APS-C image sensor as of 12 February 2014, based on Sony research. Measured using CIPA internal measurement method with E PZ 16-50mm F3.5-5.6 OSS lens mounted, Pre-AF off and viewfinder in use. Shooting perfectly lit, crisp photos and videos like a professional is just a few dials and taps away with the α6000 mirrorless camera. Enjoy features such as Multi Interface Shoe which allows users to take advantage of accessories for movie shooting and high-capacity flash units for still images, built-in flash for minimal camera-shake blur and a new customisable user interface for swift access to a wide range of functions. Share photos and MP4 movies in an instant by simply touching the camera to your friend's Android™ smartphone or tablet. *1 This remarkably convenient wireless feature is made possible by built-in Wi-Fi® and NFC (Near Field Communication) technology that also works with preinstalled Smart Remote Control Embedded*2 to enable remote control of your camera from the smartphone or tablet. *1 Requires installation of the latest free downloadable PlayMemories Mobile app (www.sony.net/pmm/). 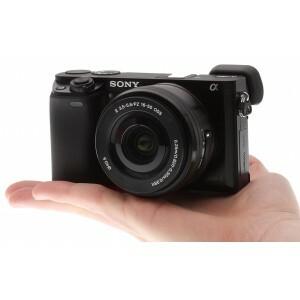 *2 If the mobile device is not compatible with NFC, the camera can still connect via Wi-Fi®. Whether it is capturing a scene of the crowd at a massive concert or a stunning field of flowers, the α6000's tiltable LCD design enables you to take truly dynamic shots in any given situation. Eye AF and the improved lock-on AF are extremely accurate for tracking moving subjects and focusing on the subjects' eyes, freeing you to concentrate on the content of the scene. Make your photo adventures more enjoyable with an array of accessories - from tripods, microphone, flash, cases, straps, and more. Bring your creativity visions to life and take advantage of wide-ranging accessories with this feature, including video lights and shotgun microphones for movie shooting and high-capacity flash units for still images. 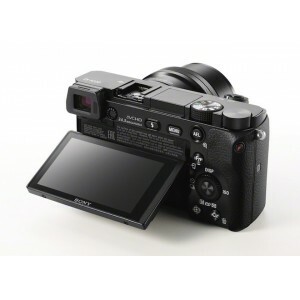 With 7 customisable buttons, including 2 dedicated custom buttons and 43 assignable functions, the possibility of capturing moments just the way you have imagined them is incredibly achievable and effortless. With Full 1080 HD at 60p or 24p, you can make the aesthetic choice to capture film-like motion in your videos. In addition, the Fast Hybrid AF* provides extremely accurate focusing and smooth subject tracking in movie shooting. You can adjust AF tracking duration and AF drive speed as well. When you need a little extra burst of light, the built-in pop-up flash (GN6; ISO 100·m) does the trick. Combined with the α6000's maximum sensitivity of ISO 25600, the flash ensures lovely photos in dimly lit interiors or at night. Various flash modes can be used to add appealing catch lights to portraits, convey a sense of motion, etc. Note: When using the included E PZ 16-50mm F3.5-5.6 OSS (SELP1650) lens, illumination from the built-in flash may be partially obstructed at wide-angle focal lengths.